Behold, Stella’s latest drawing that she brought home from school today. Mom, did you know I made the green by mixing the yellow and the blue? And I mixed the red and blue to make the purple! And I put in rain drops, because you need the sun AND the rain to get a rainbow. That you do, child, that you do. This is so crazy because feel like I was just reading about you using hypnobabies to have her and now she’s mixing paint colors! She sounds like a smart cookie and such a delight! Thanks so much for sharing with us. I’m loving getting to read something from you everyday! 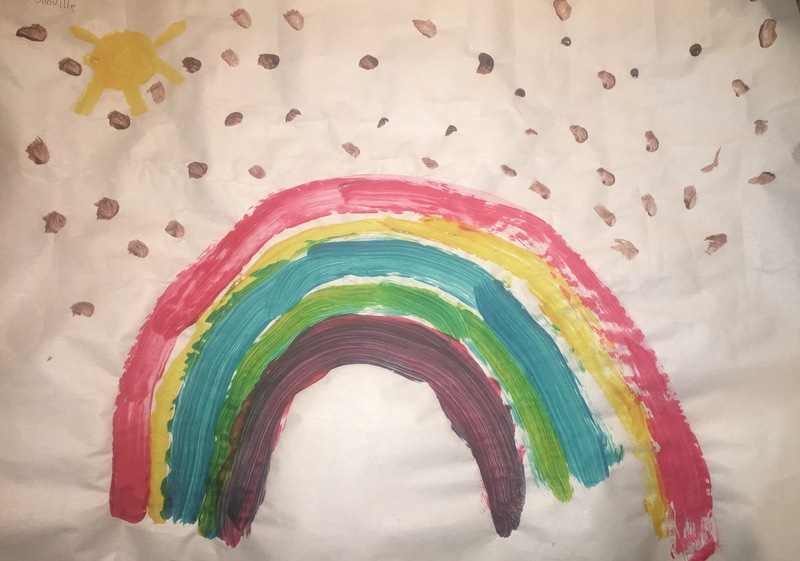 Yeah, Stella draws a TON of rainbows. This is the first time I’d see the rain though. Seemed appropriate.